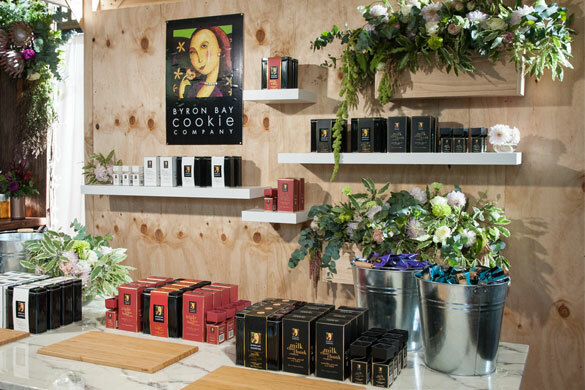 CLIENT: BYRON BAY COOKIE CO. 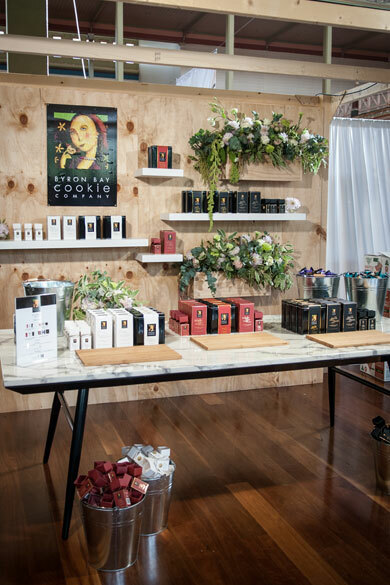 Attending the One Fine Day wedding Fair for the first time, Byron Bay Cookie Company enlisted the design services of I Heart Flowers to come up with a concept for their stand. 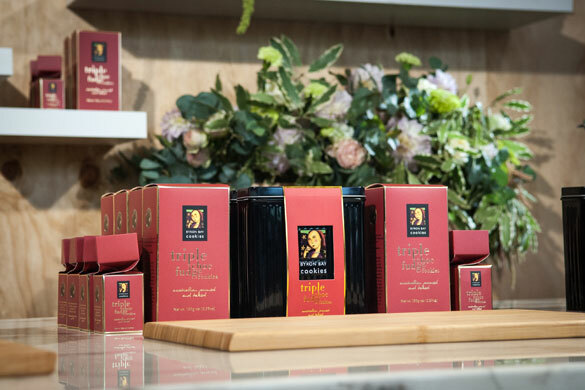 Wanting to reach out to a new audience and attract couples looking for bonbonniere they bought only their most premium gift range to the event. We choose modern soft colours and textures for their stand. Plywood, marble and soft pinks were the order of the day. 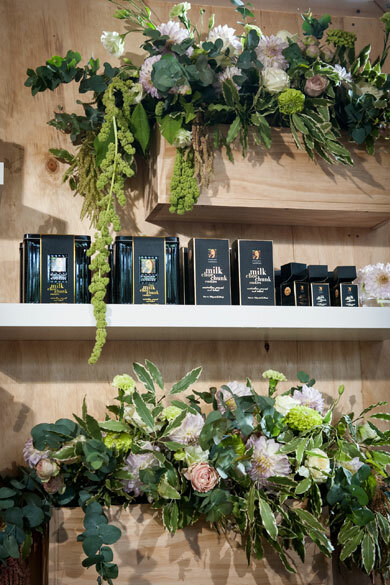 Setting up a useable space that showcased their product was the aim. We had a large table laid out with the different ranges and products, neatly merchandised. It was easy to see each product and for the couples to visualise how they might look on their wedding tables. 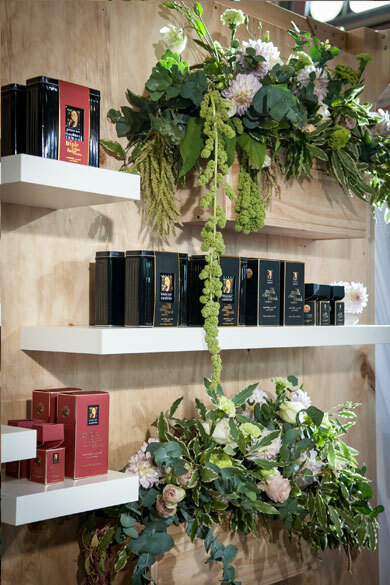 Romantic flowing flower boxes softened the space and helped set the scene for this wedding related product. Taking this project from concept to build in just two short weeks our team delivered an effective stand that was frequently full of visitors during the fair (though the free cookies may have contributed to their popularity).